Summon Night 6: Lost Borders’ story revolves around a fairly simple premise. Heroes from across various worlds and timelines are being transported to a land known as Cocoon World Fillujah, a nearly barren utopia where only a select few live in isolation from the rest of the Outerworlds. As numerous as falling stars across the sky, these heroes join forces to take part in a fight against those working from the shadows and ‘pulling the strings’ in a literal sense. As one of three main characters, Raj, Amu and Ist, each character thinks to be one of the only people surviving within Fillujah, a world where food and resources fall from the heavens in great supply. With Raj, his story is about being the only person within his world, save for a magical beast known as Patch that serves as a home base, offering up more internal storage than the Tardis. Unfortunately, playing through Amu’s story retraces these same story beats and again in a similar effort with Ist until the gang meets up together for the first time more than halfway through the story. If the narrative was more engaging, I would’ve been more interested in Raj and Amu’s tale, but they follow these nearly identical story beats: the main character is all alone, mysterious travelers fall from the sky, they join forces to tackle another ally that’s been temporarily converted by the forces of evil, and a quick fight breaks the hypnosis and thus a new ally is recruited. It isn’t until more than halfway through Summon Night 6’s story that the narrative deviates into something a bit more interesting, a shame for a crossover RPG that should otherwise delight returning fans of the long-running RPG series. Character growth is an important aspect of a true RPG and gives the player agency over how their characters develop throughout the adventure. 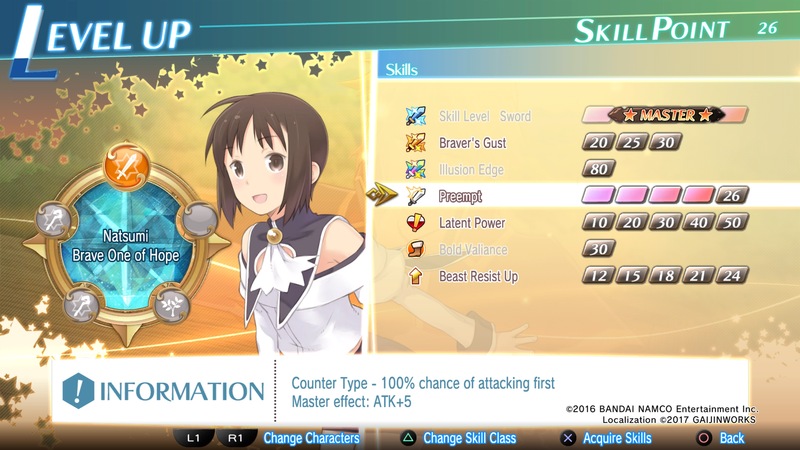 To drive that growth, Summon Night 6 takes a fairly roundabout approach to leveling up. Rather than giving active characters their own EXP for combat prowess and participation, a pooled amount of group EXP is awarded at the end of each battle. Only those that take part in (and survive) the skirmish can level up as a post-battle reward, but as that EXP is banked up until needed, new characters should be properly trained in one of the numerous side battles littered across Fillujah. EXP is a fairly stingy resource and even midway through the first dozen chapters, I was only earning enough to give one or two characters a needed boost in levels. Later on, once Amu can handle her own and one-shot fodder enemies, grinding through some of the side battles becomes a near necessity, especially as more and more characters fill the roster, some of whom need to be used in key battles to unlock new party skills by way of additional objectives. Boosting a character’s level is only half of the important equation of growing a more powerful group of heroes and summons. After every kill and mission (with a bonus to the character that strikes the last hit), skill points are awarded that give the roster permanent bonuses and improved skills. The more a particular character is used in battle and levels up, the more additional classes they’ll unlock. In almost every instance, it’s worth upgrading a character to the newest class right away, as the stat increases are incredible and often times new weapons give a greater tactical advantage than the heroes’ starting gear. Of course, there are a number of special exceptions to this rule; Amu, one of the few heroes skilled in the use of guns, can opt to more of a mage-type role by giving her a staff, but why would you want to lose that tactical advantage? While the characters and environments in Cocoon World Fillujah are vibrant and colorful, so much of the world feels on the sterile side. The promise of a world map only delivers a small number of locations and maps to fight on. In between major campaign missions, Raj’s team can take part in side battles of various levels and diversions beyond just that of strategic skirmishes. Every side event seems to be done in excess in Summon Night 6: Lost Borders. The inclusion of a fishing minigame is nice, but having to gather up both the largest and smallest sizes of every fish just for a couple of Summonite Leaves (which is required for at least one Trophy) is a timesink that could otherwise be better spent on battles. Summon Night 6: Lost Borders features only an English dub track, even with the boosted storage of the PS4 disc. Those looking for a Japanese-voiced adventure sadly won’t find the likes of Yui Ogura or Ayako Kawasumi cheering the player on in grand battles. Instead, much of the talent pool is pulled from Bang Zoom!, a popular dub casting group that’s handled much of the English-dubbed anime of recent years. To fill the other gaps in the English cast, some relative unknowns offer up a role that I can only describe with talent in the loosest sense of the word. Some characters, in particular, have awful dub choices that you’d be better off playing on mute while others are simply serviceable. The roster of English voice actors match that of a number of popular anime series of recent years, so there are some redeeming choices to the cast if you can recognize them from previous roles. However, when lined up in a conversation with some of the weaker casting choices (the first main character Raj being a serial offender of delivering his lines poorly and without proper guidance), these characters all wind up offering a mediocre vocal performance. These casting choices echo that of the early PS1 days of Working Designs’ localization and Summon Night 6: Lost Borders feels very much like a classic Vic Ireland-directed localization with the usual quirks and dialogue banter. 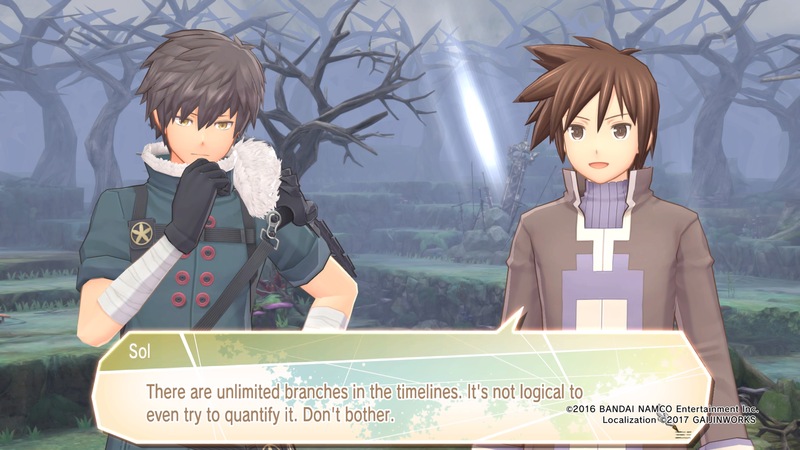 Though Working Designs may be long gone, the spirit of Vic Ireland’s passion for bringing relatively unknown RPG’s to a global audience is still present with the localization of Summon Night 6: Lost Borders. It’s an homage to a long-running series that has only seen a handful of titles released in native English and filled with cameos that import enthusiasts would be well acquainted with. Even as a player’s first Summon Night title, it’s still a fine strategy RPG that’s best played with some loud music or your favorite podcast on to drown out Raj’s incessant whining. Reviewed on PlayStation 4 (code provided by the publisher). You may purchase the game on Amazon. 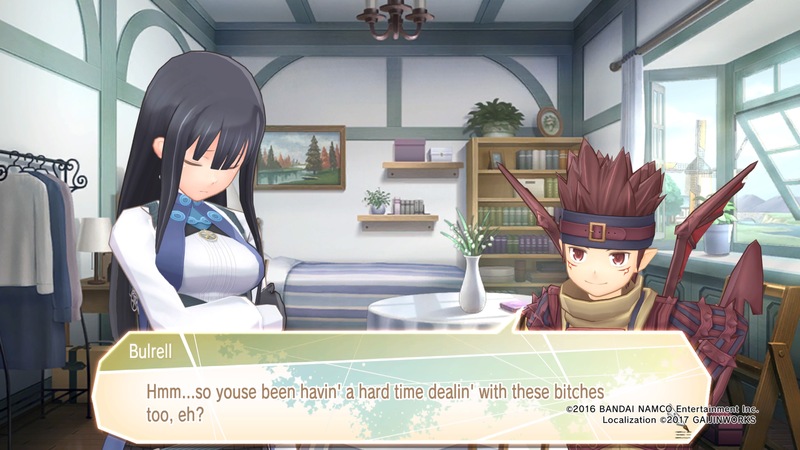 Summon Night 6: Lost Borders might be a contender for one of the most cringe-worthy dubs in recent JRPG's, but don't let the audio choices fool you. There's still a solid strategy RPG filled with cameos that fans of the long-running series can fully appreciate.